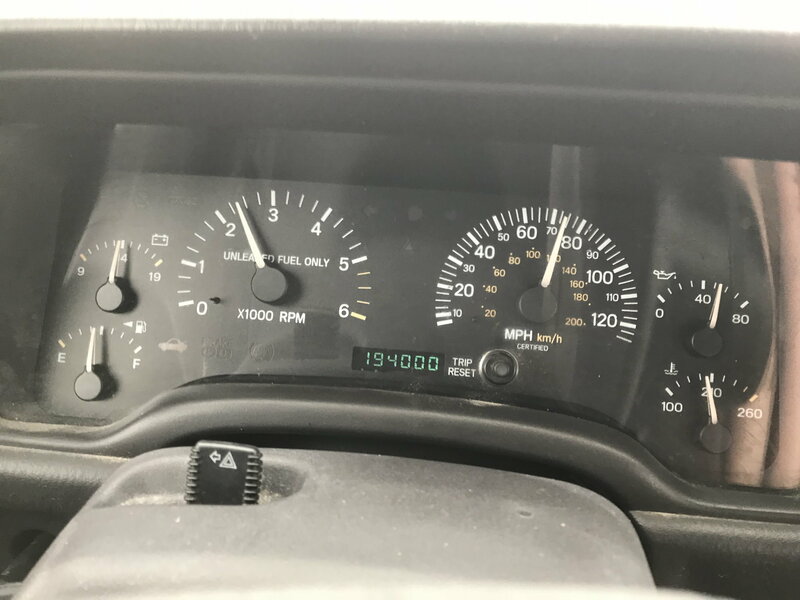 Brought home a new to me 99 Police Package Cherokee today with the 120mph certified speedometer and the functioning extended idle switch etc . Rust free , runs fantastic , holds great oil pressure etc . Drove it home 2.5 hours without issue in fact I enjoy it so much stock now I’m afraid to rip it apart but I will . I have a to do list already starting nothing serious but she’s going to get some serious preventative maintenance before the lift starts . Nice, where'd you find it? craigs list, auction, word of mouth? Craigslist . Was an all day affair but was worth it . Ordered plugs , wires , cap and rotor , oil filter adapter o-rings , valve cover gasket , serpentine belt, thermostat housing gasket and air filter tonight to get started . It’s going to need hub/bearing assemblies when I tear into it further as well . Emailed rubicon express today . They told me 4 wheel parts can custom order my lift I want with the parts I desire . 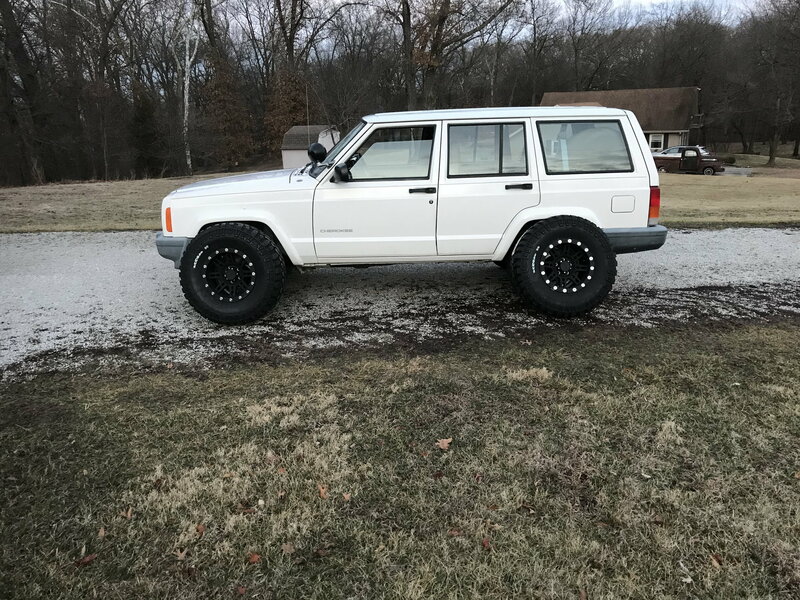 While scanning 4wp website I found an amazing deal on Mickey Thompson tires the same ones I had on my lash Jeep for 100 off a set 506 dollars for 4 32/11.50/15’s I think I’m going to order my tires and wheels tonight ! Mocked them up just to see til I install the lift . Those some true beadlocks? 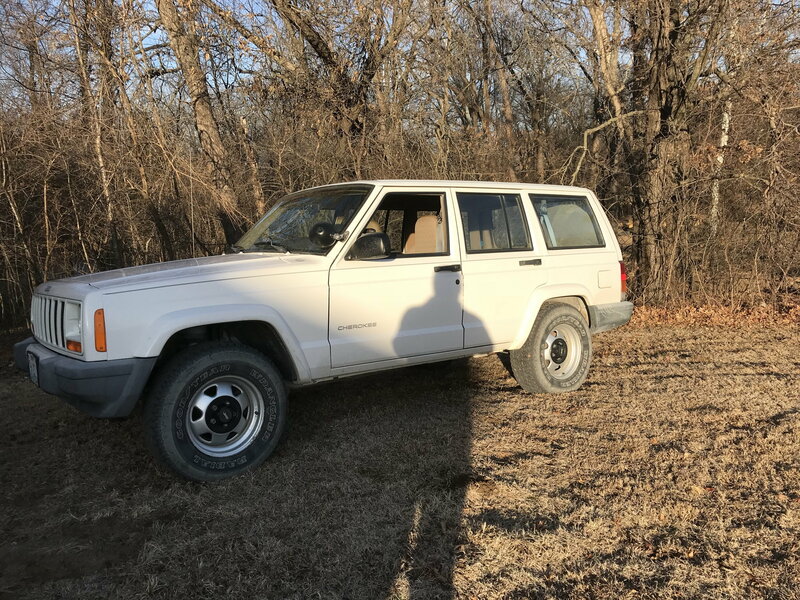 Either way they look nice and will look good on the jeeo once you get the lift. You got all 4 of them with wheels and tires for $500? the tires were like 506 for the set with wheels, mount and balance lug nuts and valve stems etc I spent like 1,014. They’re not true beadlocks I shopped around for them but too pricey . My lift is in garage along with wheels and tires now . 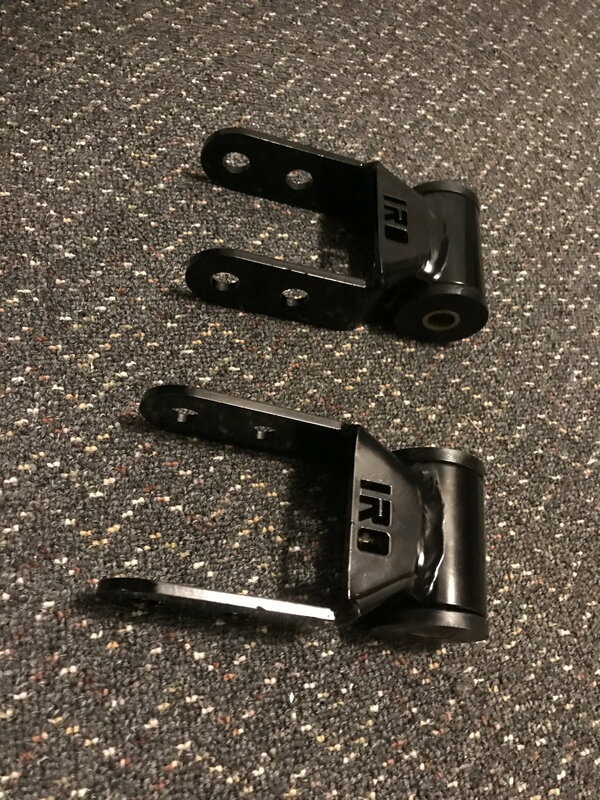 Placed my final order for now from IRO for shackles and bump stops and plan to order a hardware kit from a member here so that when I’m putting this lift on at 1am I don’t have to wait til the next day to go try to locate a proper bolt/but etc . I know that feeling luckily I have a 4x4 shop right around the corner of my house when I did my lift. Starting on Friday ending on a Monday but I was able to get parts I needed on Saturday. Which was my U-bolt kit for $50 or so. I don't mind supporting my local neighborhood shop and it was not one of those chain shops either. I agree I ordered from a shop called Built to Rock Offroad . Wasn’t close to around the corner but the ONLY shop remotely close . There’s a crazy lack of 4x4 shops in the Kansas City and surrounding areas . The shop was a small home based fab and off road shop guy was very nice we ended up talking shop for half an hour or so when I came to get my lift . 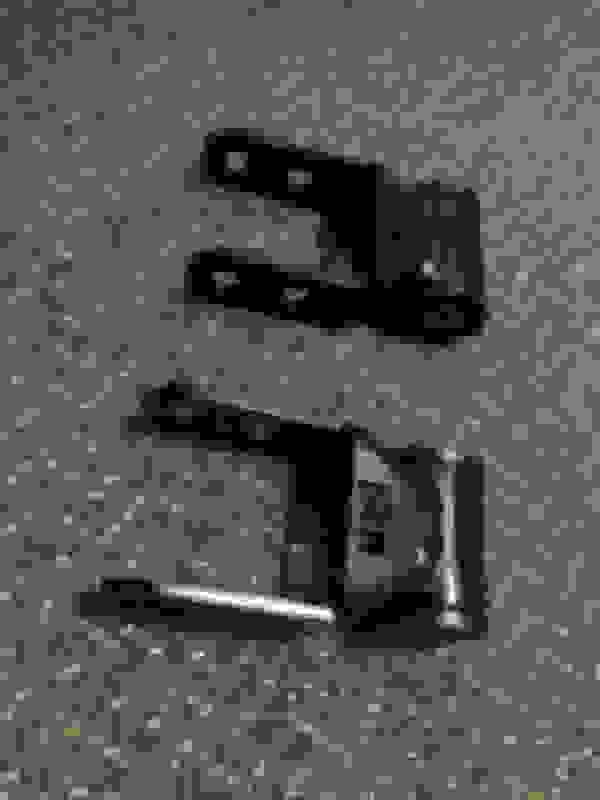 I ordered both sets of u-bolts with my lift so that when I swap to 8.25 I’ll have them ! Good deal I'm very surprised you don't have more shops in the Kansas City area. Mine was Olymipic 4x4 and like you said well known and good group of local guys so was well worth spending the cash up there. They even make U-bolts for you too but he happen to have my D35 kit on hand. I will go back to him when I need to swap in my 8.25. Might even do it like you and get it ahead of time. I'm still building that axle though and plan to lock it soon. I was surprised too but At the end of the day I don’t really trust any one else to work on my stuff so I’m getting everything lined out and going to tackle it and make sure it’s done in a weekend hopefully one full day . I need to do some major garage organization first too . Oh I agree with you there, I did the same cleaned out garage first weekend organizing everything to make room. Then the weekend after I tackled the job. I prefer to do my own work as well. Funny though because I had a couple guys offer to come over and help but sometimes I just work better alone. I mean my son came out to help but this project is just as much his as mine so I apprieciate his help. Not to mention that Son/Dad bonding time. Good luck with your build looking forward to seeing the lift in. And by not trusting anyone to work on my stuff I'm with you on that too I do all my work on all my vehicles. 100 percent agree . I get a lot more work done by myself , always . Today I ordered the new hardware kit for the lift from a forum member here and got a confirmation email from IRO to let me know that my items would NOT ship today and may take up to two weeks boy that’s sure impressive . The final parts came in to be able to install the lift . They took way longer than expected to get here but finally received my IRO shackles and bumpstops .